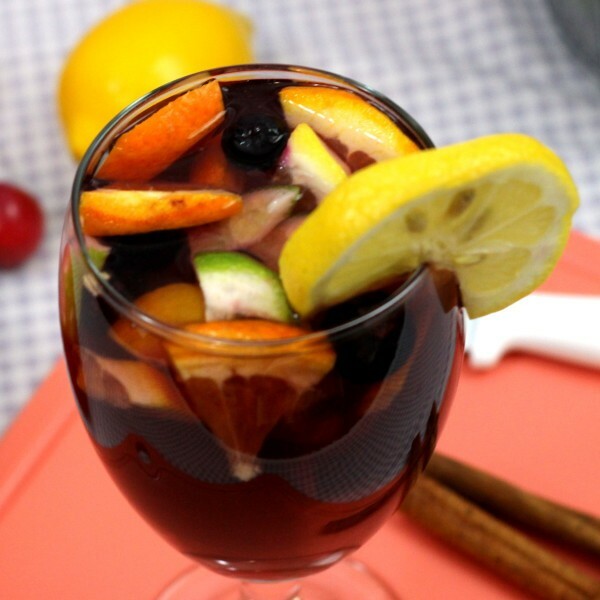 At the risk of causing disappointment, I have to break it to you: according to Spanish people I’ve known, there isn’t really any single authentic recipe for Sangria. There also isn’t, to my knowledge, a recipe everyone loves. 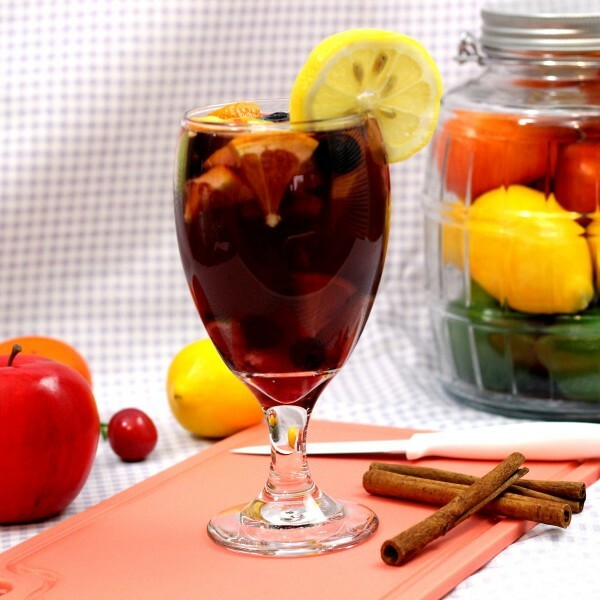 There are some basic guidelines that have evolved over the years, but Sangria is really just a form of punch. Like most punches, it’s less about the flavor and nuance than it is about getting people drunk quickly and cheaply. It’s traditionally made from whatever cheap leftover wine and fruit you have that’s about to go bad, and it relies on ingredients like sugar and cinnamon to make it taste good. By the way, the Sangria is really a party drink, and not really designed to be ordered in a bar. Making up a batch of this punch and sharing it with friends is the best way to enjoy Sangria. Notes: some recipes leave out some or all of the fruit and add triple sec or orange juice. Others don’t include cinnamon sticks, but cinnamon can help “marry” any ingredients that aren’t getting along too well. Fruits can vary: apples are a good addition/replacement. Some people add other spices, like nutmeg. Instructions: Mix the ingredients up well in a big pitcher or container. Let it stand in the fridge for 24 hours for best results. Serve it within about three days of when you made it. In theory, it should stay okay up to a week, but in practice I wouldn’t make it more than a day ahead of when I’m planning to serve it. Serve it over ice. Feel free to tinker with the recipe and fine-tune it to what you like. I’m from Portugal. 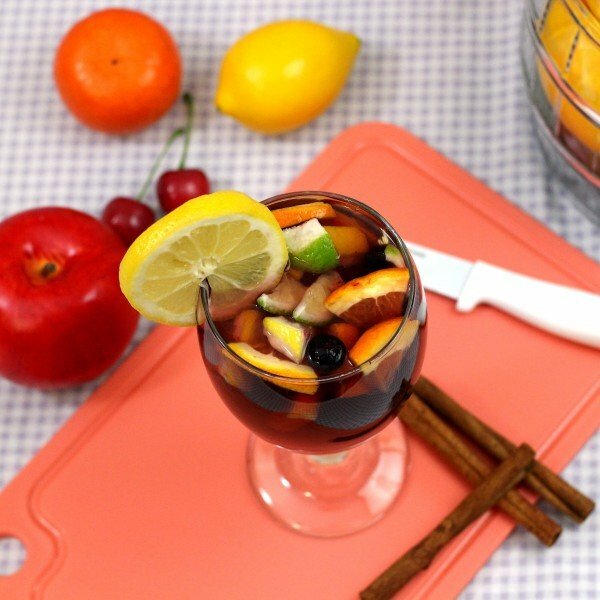 We’re very familiar with sangria ourselves, and yes, it’s a really cheap way to get the “spirit going” at your parties. Generally, we use sprite (or 7-up) to help blend in the alcohol, but the trick is to put as much sugar as you need to, just so that you can drink as much as you want without tasting it, and then suddenly…. BAM! it hits you. taste it every step of the way to find the right taste – not too strong, not too sweet. usually i pour the fruits first, then the champagne, a little bit of sprite (just to help cut the alcohol), half a bottle of vodka and the sugar (as much as needed). finnally, drop in the ice! try it and then post here the results!